Joanna is a postdoctoral researcher on the Future Climate For Africa UMFULA project. She joined the GRI in January 2016 after completing her PhD at the United Nations University in Bonn. Joanna’s research interests are centred on the socio-economic aspects of climate driven hazards, with a particular emphasis on novel qualitative research approaches. Her doctoral thesis examined vulnerability and adaptation to multiple hazards in West Africa and her work on UMFULA will build on this with a focus on decision making under uncertainty in Central and Southern Africa. 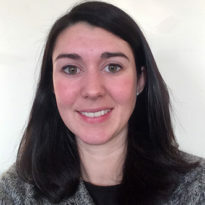 Prior to her PhD, Joanna obtained a Masters degree specialising in water science, policy and management at the University of Oxford and subsequently spent three years as a Researcher at Middlesex University’s Flood Hazard Research Centre.